A Napa County Superior Court Judge has agreed to resign following a public censure from the State of California Commission on Judicial Performance. Williams was censured for taking two business card holders valued at $30 and $50 each, from The City Club of San Francisco while attending a dinner held there by the American Academy of Matrimonial Lawyers (AAML) on March 9, 2016. On March 29, 2016, Judge Williams returned the cardholders with a letter to The City Club—after an AAML fellow told Judge Williams he had been seen on video taking the cardholders—and Judge Williams self-reported to the commission the following day. As part of the censure, Williams has agreed to resign from the bench effective December 5, 2017 and to be absent from the bench after October 19, 2017. Williams was appointed to the bench by Gov. Jerry Brown in December 2012. He filed for re-election in 2014, but due to facing no opposition, was automatically elected to a new term that would have expired in 2021. 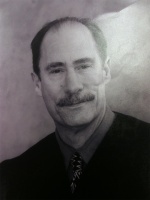 No Comment to " Napa County Superior Court Judge to Resign Following Censure From Commission on Judicial Performance "